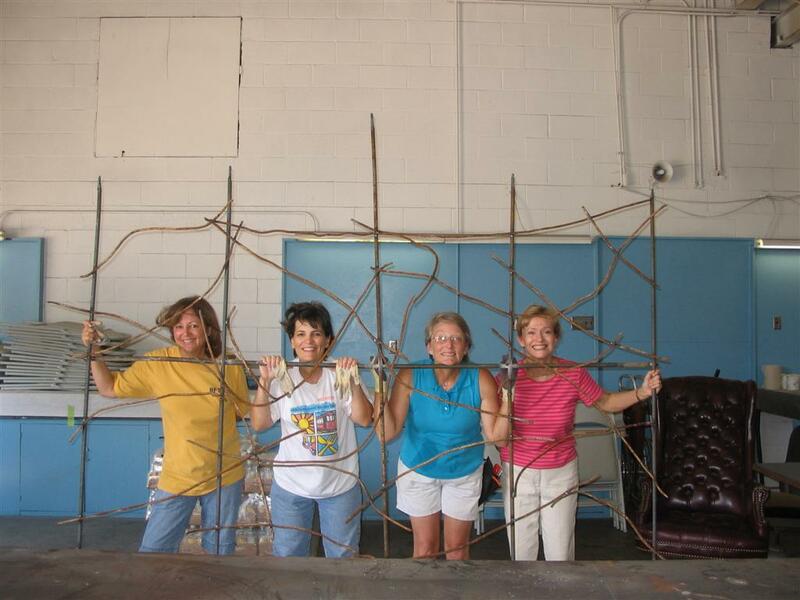 In 2007, we had the idea of having a rose trellis made out of rebar. We planted three Penelope Roses on it. Here is what Antique Rose Emporium says about Penelope: Massive clusters of large, pale pink, semi-double flowers fading to peaches and cream adorn this chunky shrub during the growing seasons. Fat, orange-pink hips weigh down the bush in fall and winter. 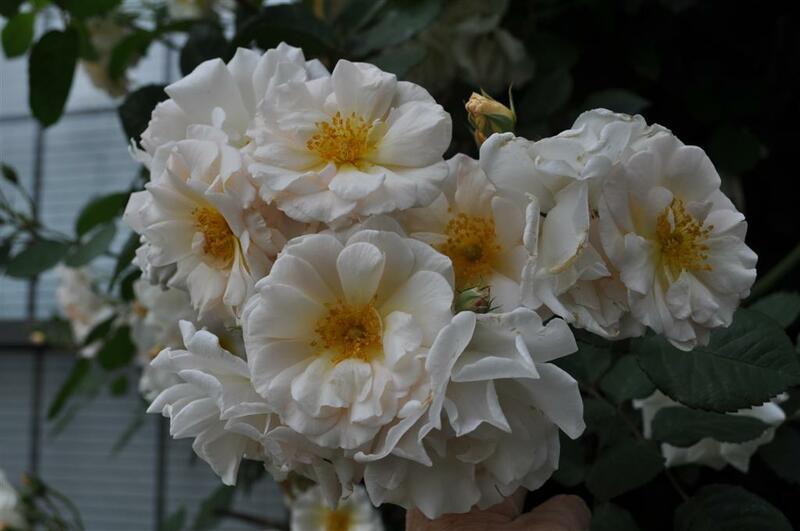 This rose is an excellent choice for hedging as the bush is dense with beautiful foliage and fragrant flowers and will mature quickly. This is the iron trellis in 2013 smothered by Penelope and with Abelia, ‘Edward Goucher, Abelia ‘Kaleidescope’, Dwarf Yaupon Holly, and Daylilies at her feet. 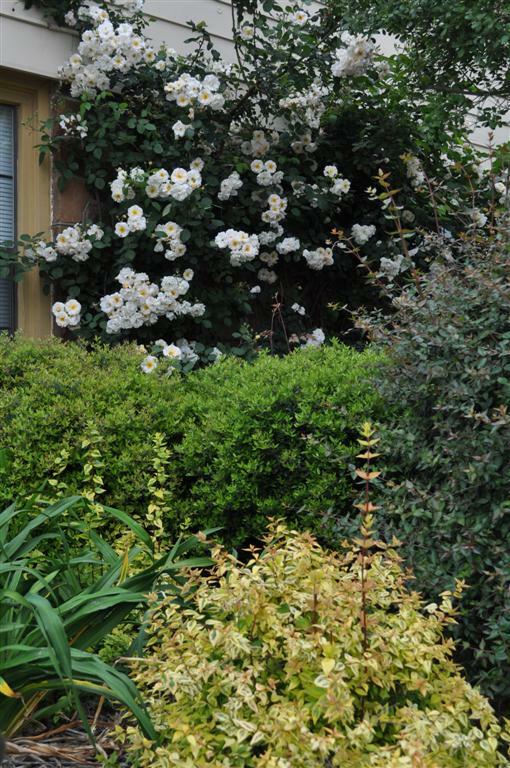 Posted in Earth Kind Roses and tagged Abelia, Earth-Kind Roses, spring blooms. Bookmark the permalink.